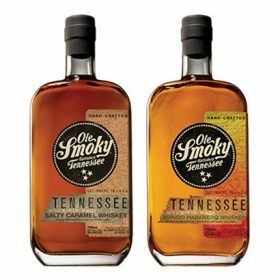 Tennessee-based spirits producer Ole Smoky welcomed 4.1 million visitors to its distilleries in 2018, marking a record year for the company. The Ole Smoky Moonshine Holler in Gatlinburg attracted two million visitors, while Gatlinburg’s Ole Smoky Whiskey Barrelhouse saw more than 900,000 guests step through its doors. Ole Smoky’s Pigeon Forge distillery, The Barn, reported 1.1m guests last year. Each Ole Smoky distillery offers visitors self-guided tours, tastings, live music and large retail stores that sell Ole Smoky moonshine, whiskey, apparel, accessories and food. Robert Hall, CEO of Ole Smoky Distillery, said: “Our impressive visitor numbers speak not only to the attraction of the greater Smoky Mountain area, but also to the focused attention we’ve placed on the entire distillery visitor experience. “From the quality and variety of our moonshine and whiskey products, to our attractive merchandise and live music, we want visitors to experience the full spectrum of our ‘c’mon live a little’ motto.